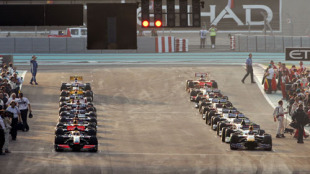 When the 2009 season concluded in November just a handful of drivers had confirmed seats for 2010. With key players on the move, none less than the world champion himself, we knew we were in store for a very silly off season. Although a few more drivers added their names to the 'confirmed' list recently, there remain several seats still available. ESPNF1 takes a look, team by team, at the market as it stands and what we expect to happen. As expected, Nico Rosberg was finally confirmed as a Mercedes team driver in November. Nick Heidfeld is the favourite to join him and would make it an all-German team, pleasing the firm's board. However, CEO Nick Fry has made clear that the team is not obliged to employ drivers of any specidic nationality. Rumour has it that - depending on Renault's decision regarding its future - Robert Kubica's contract with the French team could be annulled in order to let the Pole move over to Mercedes instead. Championship runner-up Sebastian Vettel and team-mate Mark Webber were both confirmed some time ago. The question regarding Red Bull is where it will source its engines. The FIA listed Renault as the team's supplier on the 2010 entry list, but Red Bull boss Christian Horner maintains nothing has been confirmed. The team has also been in talks with Mercedes and Cosworth. The year-long suspicion that Fernando Alonso would leave Renault and join Ferrari was finally confirmed in 2009. Felipe Massa remains on board for a fifth season, giving Ferrari one of the strongest line-ups on the grid. Formula 3 Euroseries champion Jules Bianchi has also been contracted to the team but will continue his development in the GP2 Series. Giancarlo Fisichella will be the official test driver. Lewis Hamilton will stay at McLaren for a fourth season and will be paired with 2009 champion Jenson Button (who brings the number one plate with him, much to the Brawn/Mercedes team's disappointment). 2009 driver Heikki Kovalainen will have to look elsewhere for a race seat. Williams will start next season with a new engine supplier and a new driver line-up. Rubens Barrichello is following his long-time dream of racing for Williams; the Brazilian is the most experienced driver in F1 history, breaking the record for grand prix participations at each new race. 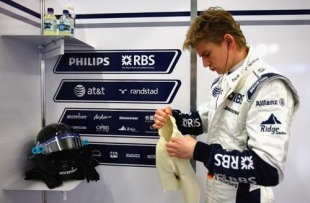 Nico Hulkenberg will join Barrichello at Williams and make his F1 debut next year. He won this year's GP2 crown on his first attempt and is already familiar with the team, havng tested with it on a number of occasions. 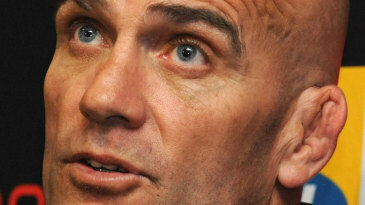 Peter Sauber has bought the team back from BMW and will lead it into 2010. Kubica has left the team for Renault but Sauber has talked about keeping Heidfeld for 2010. The cars will be powered by Ferrari engines next year and this has led to speculation that the Italian squad's test driver Fisichella might get his desired race seat. Jarno Trulli , Pedro de la Rosa , Kamui Kobayashi and Russian newcomer Vitaly Petrov have also been linked to the team. Having signed former BMW Sauber driver Kubica to replace Alonso there remains one seat vacant. Test driver Romain Grosjean took over from Nelson Piquet Jr this summer, but some say his performance might not have been enough to convince the bosses to keep him. Lucas di Grassi is also in the frame, having been a long-time test driver for the team and considered alongside Grosjean for the full race driver role last season. The French manufacturer is set to announce plans for its future involvement in Formula One, with rumours ranging from a three-year commitment, to an engine-supply role only, or to selling the team completely. The last two scenarios sparked the Kubica-to-Mercedes rumours. Force India will keep Adrian Sutil and Tonio Liuzzi as its drivers for 2010. Liuzzi filled in for Fisichella during the final five races of the season, when the Italian left the team to drive for Ferrari. Mercedes will continue to supply engines to the team next season and that could open up a position for DTM driver Paul di Resta. The Scot impressed at the recent young driver test in Jerez and has been looking for a route into F1 since he won the F3 Euroseries title in 2006. Sebastien Buemi was named as a 2010 driver in November but Jaime Alguersuari (who took over from Sebastien Bourdais midway through 2009) has yet to be confirmed. Alguersuari's management insist a contract is signed and the Spaniard is still the favourite to line-up alongside Buemi next year. The only competition is likely to come from Daniel Ricciardo, who tested for three days with Red Bull in Jerez and set the fastest time of the week. Jarno Trulli has been linked with Lotus for some time now, having worked with technical director Mike Gascoyne at both Renault and Toyota in the past. 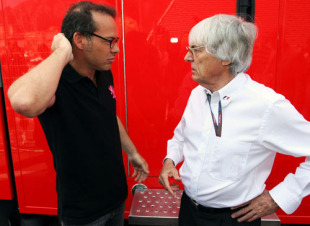 Jacques Villeneuve is in talks with the team but claims negotiations are in a preliminary stage. He has visited the paddock on a number of occasions this year and admitted he wants to drive again now the cars are back on slick tyres. Takuma Sato and impressive rookie Kobayashi have also been mentioned. Malaysian Fariuz Fauzy is likely to be fill the test driver role. Only Bruno Senna has been named as a Campos driver so far. It was rumoured that Nelson Piquet Jr approached the team in an attempt to revive his F1 career, but no further news has been leaked from either side. Team boss Adrian Campos is almost certainly looking for a pay driver and ideally a Spanish one. However, Pedro de la Rosa and Formula 2 champion Andy Soucek have both said they can't get enough sponsorship to meet the team's asking price. The FIA recently named Manor as Virgin Racing on its 2010 entry list, all but confirming a deal has been done between the team and Sir Richard Branson. Virgin's financial backing makes the team an attractive proposition for drivers but only one opening remains after Timo Glock secured the No.1 drive in mid-November. Manor boss John Booth said di Grassi would be ideal for the team, having won the F3 Macau Grand Prix with the outfit in 2005. Failing that, Booth hinted either Petrov or Pastor Maldonado would be considered. US F1 has yet to talk to the press about its driver line-up for 2010, except to say it is on the hunt for at least one American. Jose Maria Lopez claims to have a verbal agreement with bosses Peter Windson and Ken Anderson but is relying on sponsorship to pay for the opportunity. The Argentinean hasn't raced in single seaters since 2006 when he finished tenth in GP2 and completed a series of tests for Renault. De la Rosa was also mentioned as a possible candidate earlier in the year, as US F1 will have a European base at the Aragon Circuit in Spain where de la Rosa is an ambassador.